We would like to welcome you to our Jewish Center. Tucked in between the ‘Miami Design District’ and the ‘Wynwood arts District’, Chabad at Midtown serves as a Spiritual oasis and a “Jewish Space” for young dynamic people to meet and connect with others who live and work in this vibrant neighborhood. 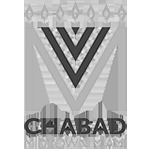 Directed by Rabbi Shmuel and Chana Gopin, Chabad at Midtown is part of the international Chabad Lubavitch organization; inspired by the teachings of the Lubavitcher Rebbe and dedicated to serving Jewish communities with warmth and joy. Our programs are designed for people of all ages, and no matter what your background or affiliation, we are confident that you will find something for you and your family and friends to enjoy. Whether you would like to join us for our popular First Fridays, Shabbat Services, Holiday celebrations, women’s group or Judaism classes we trust that you will enjoy our special, inclusive environment where everyone feels comfortable and welcome. We look forward to greeting and welcoming you to our center, and we hope you become a part of our growing family!